Vacuum ironing tables make finishing garments much easier. As a result of the heated ironing board and vacuum function it is easy to get professional ironing results. 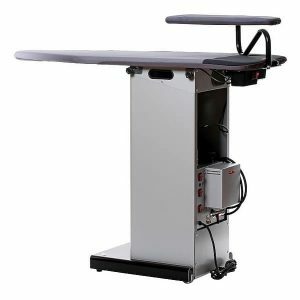 We stock a wide range of commercial vacuum ironing tables from Lelit. 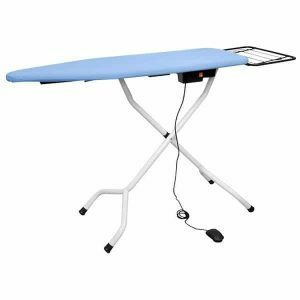 Buy Lelit PA73 ironing tables if you are only doing a small volume of ironing. Use the Lelit PA73 for one to two hours of ironing per day. Easily iron out creases because of the heated board and vacuum function. Order Lelit PKSB500N commercial ironing board if you are doing a larger volume of ironing. In addition it comes with a built in 5 litre steam capacity boiler. 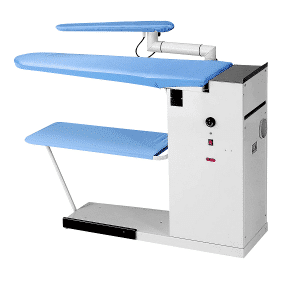 Purchase Lelit KS200/D industrial ironing table if you are doing a large volume of ironing. It is perfect for dry cleaners and laundries ironing throughout the day. This is because it has a powerful vacuum function making it easy to iron out creases. Also use the heated vacuum arm to quickly iron shirt sleeves and get professional results.